BEFORE I WAKE POSSIBLY OPENS IN THE US ON THE 8th OF APRIL AND IN MALAYSIA ON THE 7th OF APRIL. CLICK HERE TO FIND OUT WHEN IT OPENS IN YOUR CITY. So from the director that gave you Absentia (2011) and Oculus (2013) comes another thriller with a slightly different twist. 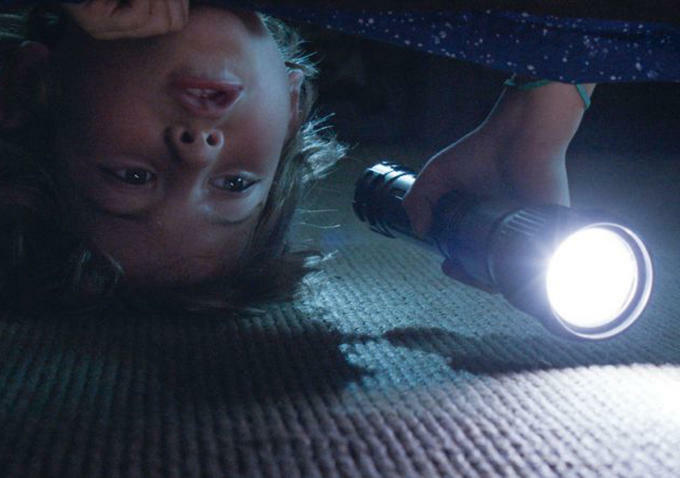 Directed by Mike Flanagan who also wrote it with Jeff Howard it stars Hollywood's current little boy wonder Jacob Tremblay as Cody, Kate Bosworth as Jessie and Thomas Jane as Mark. The story opens with us learning that Jessie and Mark have just lost their child to an unfortunate accident at home, Mark has moved on in his own way but Jessie is still grieving and unable to let go. But to help them get past the tragedy they've decided to adopt. They find out from Natalie (Annabeth Gish) the representative from the adoption agency that she's found the perfect little boy for them. She doesn't tell them anything else. Soon Cody arrives at their home and they try to make him feel at home but it isn't long before strange things occur. The first night that Cody sleeps in his new bed they discover their living room filled with butterflies. The second night after Cody stares at a picture of Sean (Antonio Evan Romero) their dead son, Sean shows up. Jessie begins to use Cody's unique ability to try and bring back Sean but that's not all that comes when Cody falls asleep. Going into this movie I had very little information about it. I vaguely remember watching the teaser or trailer and didn't read up on it either. All I knew was that when a little kid falls asleep his dreams become real and those dreams are closer to nightmares than one filled with Smurfs and Transformers. I didn't even think that this was going to be something akin to The Sixth Sense (1999) and of course it's nothing like that movie either. I did expect to go in and see the usual horror/thriller movie tropes and tricks and that is there. But this movie is a lot more than just the usual that is prevalent in the predictable horror movies that Hollywood seem to churn out these days. 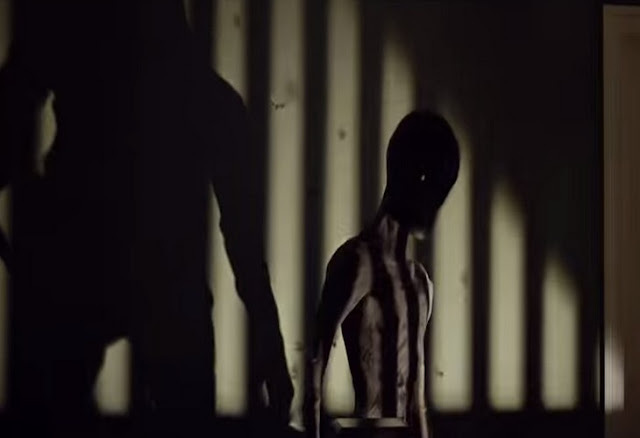 This movie is more that just the cheap scares and this is where it shares something similar to The Sixth Sense. The Sixth Sense took dealing with death from a different perspective in that movie Haley Joel Osment's character Cole Sear helps the recently deceased Dr. Malcolm Crowe (Bruce Willis) come to terms with his current state. He does it be telling him of the supernatural encounters he has and as he helps Cole Cole slowly helps Crowe understand his own situation. In the end they both find peace. 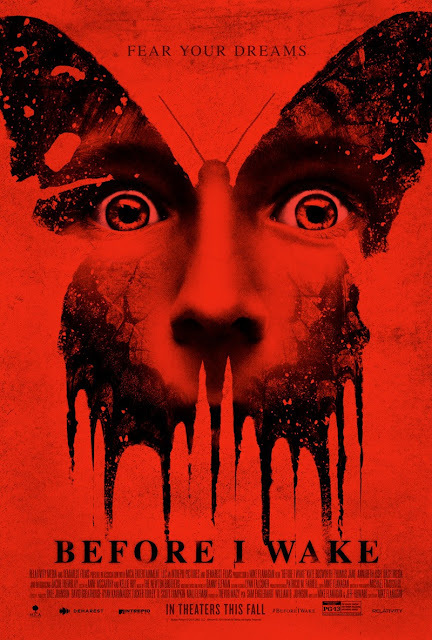 Before I wake is about dealing with the demise of a loved one as well. Jessie and Mark the demise of their young son in a freak accident and Cody of his situation. But how they come about it how the story weaves Cody's ability into the story to both provide a few magical moments as well as some decent scares is unique. 1) I like the story and how it goes from what you think is a typical horror/thriller with the usual tropes to something different. 2) Using Cody's ability to show of two sides of his ability and using it to push the story and the character emotions. 3) The scary character which Cody calls Mr Canker is uniquely brought to life, it looks like something you've seen before but it also looks like something a child would conjure up in his imagination. Not to say that it isn't scary when it shows up of course. 4) The pacing and editing is just nicely paced. 5) The acting by the leads are pretty good. Jacob seems to me to be pushing adorable aspect but that may just be me. Although at times it feels like the adult characters could do with a bit more character development. 6) The effects both CGI and practical are pretty good. So all in all I thought that Before I Wake was a pretty good movie with a unique take or twist I guess for the genre. It's worth a watch. I'm going to give it a decent 3 out of 5. BIG THANK YOU TO KLIPS.MY FOR THE PASSES TO BEFORE I WAKE! Hi great review and nice blog. I like the way of your writing. Thanks for taking time to share such a wonderful review. Keep blogging.